Nowadays, World Wide Web is flooded with different types of web browsers. Each of these web browsers differs from one another on the basis of search time, search efficiency and the area of the Internet they cover in their search. The popular search engines like Yahoo Search, Google, Dogpile, Bing, Ask, etc., are facing efficiency challenges due to tremendous growth rate of data on the Internet. Moreover, the current state of the art in this field works on the general search results. Hence, special data mining search results require customized search services. Terrorist network mining is one such field of data mining which requires customized search services. This paper presents the algorithm for customized Terrorist Meta Crawler. 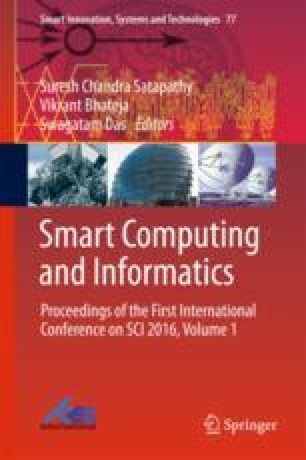 The algorithm presented in this paper is optimized to search terrorist-related information on World Wide Web using different web services. The last section of this paper presents the comparative effectiveness of Terrorist Meta Crawler along with other popular search engines, and results show Terrorist Meta Crawler is a better solution for customized search.